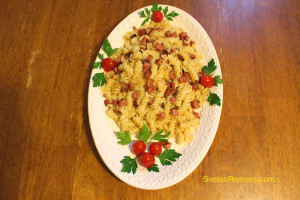 The classic combination of sausage takes on a pasta companion in this warming dish that peaks with onions. 1.) Wash and dry onion well. 2.) Peel onion and kielbasa. 3.) Add 8 cups of water to a large saucepan. 4.) Add salt to the saucepan. 5.) Let the water come to rolling boil, then add pasta gradually so that the water does not stop boiling. 6.) Cook pasta string occasionally to separate, cook until tender but still firm. As soon as the pasta is done drain it with a colander or strainer. 7.) Add oil into another skillet and heat it up on moderate temperature. 8.) Chop onions into cubes and add to the skillet and fry until light brown. 9.) 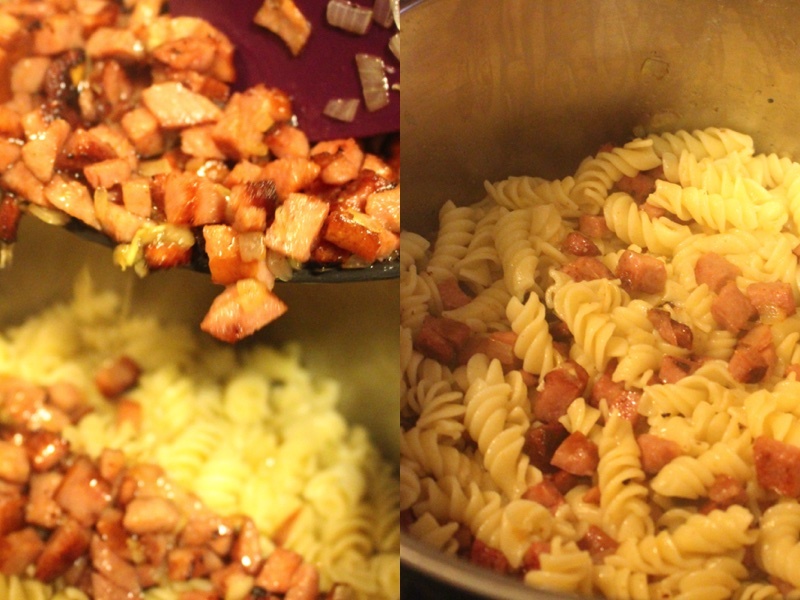 Add kielbasa mixture into the saucepan and mix well. 10.) Put in serving dish and decorate. Wash and dry onion well. Add 8 cups of water to a large saucepan. Add salt to the saucepan. 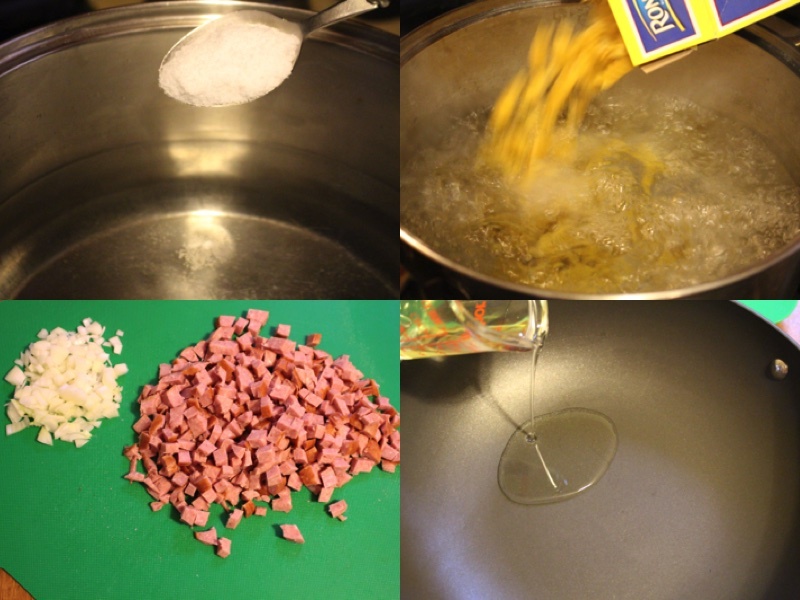 Let the water come to rolling boil, then add pasta gradually so that the water does not stop boiling. Cook pasta string occasionally to separate, cook until tender but still firm. 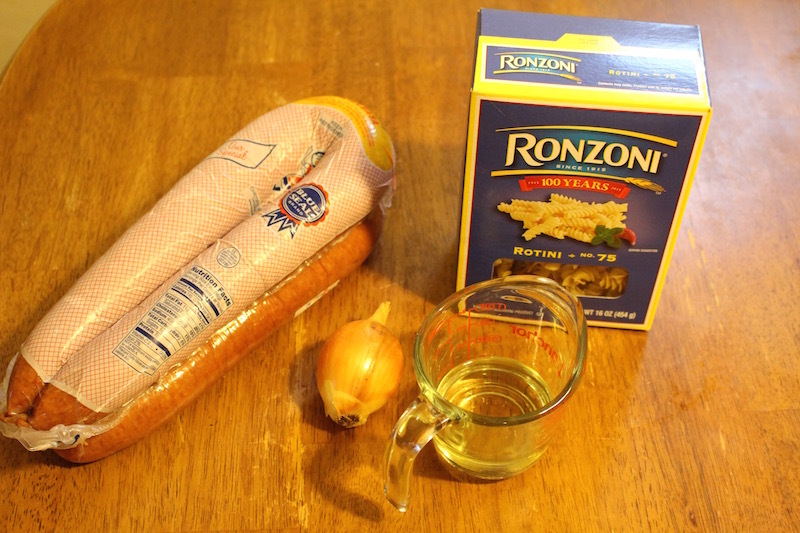 As soon as the pasta is done drain it with a colander or strainer. Add oil into another skillet and heat it up on moderate temperature. Chop onions into cubes and add to the skillet and fry until light brown. 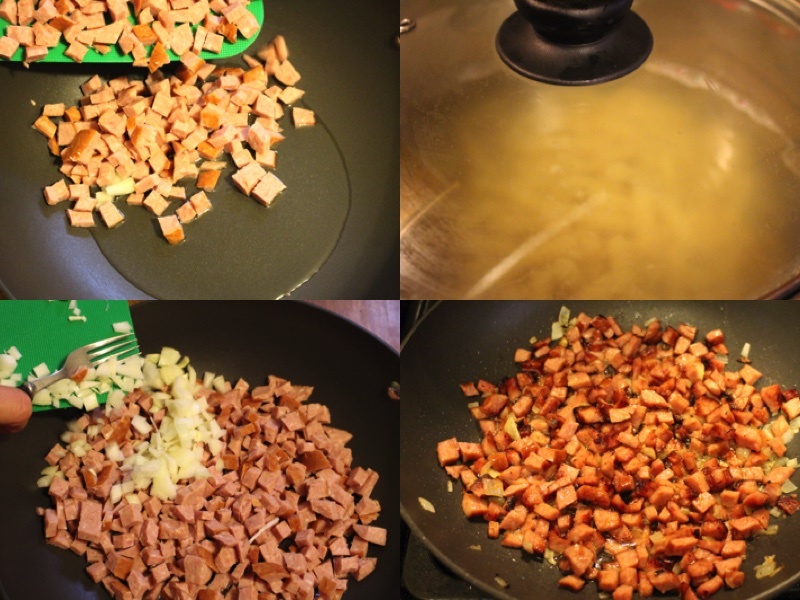 Add kielbasa mixture into the saucepan and mix well. Put in serving dish and decorate.